Drought tolerant gardens are ideal for geographical regions with low rainfall or areas that are prone to droughts. Not only do these gardens cost less to maintain than traditional landscape designs, they are also more ecologically responsible because they draw less water from strained water reserves. For our customers who are interested in creating sustainable gardens, we now recommend our xeriscaping designs and construction. These designs can include California native plants that help reduce the need for excess water and minimize ecological impact. One of the best ways to create a more sustainable garden is to let go of the traditional lawn. We can remove water-thirsty lawns-- and other plants that require excessive watering-- and replace them with beautiful outdoor living spaces that require little or no water at all. 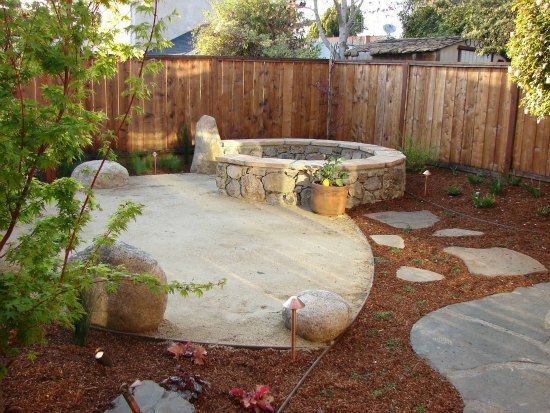 For example, our Zen Garden designs can create sanctuaries of repose that are sculpted from boulders, pebbles, and garden structures that reflect your personal style as well as your commitment to resource conservation. 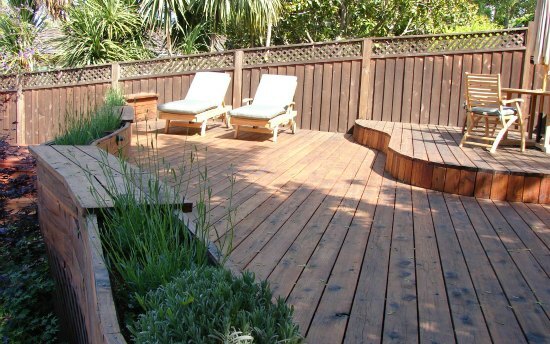 Also, decks or patios can be added to areas that once were dominated by heavily water dependent flora. The result can be more space for socializing, playing, and relaxing while minimizing or eliminating the need for irrigation. While water usage is decreased, curb appeal is increased with the addition of an outdoor room. If you want to maintain some of your lawn, we can reduce the size and border it with drought tolerant plants that will decrease water usage. In fact we offer a number of designs that can be create more sustainable gardens that are still sources of pride and pleasure for homeowners. When we create sustainable landscapes for water-stressed areas we take our cue from nature by designing outdoor living spaces that are both beautiful and usable year-round with little or no supplemental water. For California customers who spend much of the year enjoying their gardens we design and build gardens that are sustainable and responsible while still being luscious and abundant with joy.